The Maremma means nature, art and wellbeing. And wellbeing is also attained through the chance to practice all kinds of sports under the guidance of qualified instructors, completely immersed in an evocative natural setting. In the Maremma, sport becomes an alternative way to discover the many beauties of the territory, exploring every part of it. Horseback riding, hiking and mountain biking, with a great number of hiking trails, with or without guide, are the best options for those who prefer to explore the Mediterranean shrubland, woods and protected areas of the Maremma. Archery and golf let you enjoy the gentle hills of Maremma in a relaxed manner. Sailing, windsurfing, kite surfing, diving and snorkelling are only some of the options water sports fans can choose from, thanks to the many renowned sailing clubs and schools. The ideal conditions for practicing these sports can be found along all of the Maremma’s shorelines, thanks to winds that blow through these areas year round. The seabed of our coast, with its variety of scenery, is among the most beautiful and unspoiled in the Mediterranean Sea, and represents an essential destination for all diving lovers. There are numerous diving spots offering different itineraries, each with an originality and charm of its own. Sailing in Maremma gives rise to a unique feeling, an unforgettable experience. For the sailor, the sea off Maremma’s coast is the perfect regatta arena, and not by chance the “Queen of Windsurfing”, the Olympic and World champion Alessandra Sensini, was trained in these waters. Numerous international sailing competitions are held in the Maremma every year, exploiting our top-level sailing clubs and harbours, considered to be some of the best equipped in Italy. Combining sport with discovery and respect of the environment, this activity is ideal. In the Maremma, cycle tourism can rely on a sound network of trails in a territory highly diverse in its morphology, perfect in its mild climate, and full of charm in the variety of panoramas it can offer. There are a great many specific cycling itineraries. The Maremma offers a wide range of possibilities for cyclists seeking the special taste of discovery, a succession of climbs and descents in the midst of nature, vast spaces that abruptly open onto breathtaking views. Particularly challenging is the route known as the “Grand tour della Maremma”: almost 370 km running through the entire province of Grosseto, from the coasts to the inland, to enjoy every corner of this wonderful part of Tuscany. Horseback-riding combines several passions in one: the love of animals, the beauty of country landscapes, the thrill of interacting with another animal, and the excitement of always pushing oneself further, for new experiences. With its natural parks, its hills and its multi-faceted inland, its unspoiled beaches and endless countrysides, the Maremma is a true paradise for lovers of horseback riding. Many riding schools offer the chance to explore the territory on horseback and discover the most beautiful beaches at a gallop, and there are also many dedicated trails. In the land of the butteri (mounted cattle herders), horse riding is one of the most extraordinary ways to venture into the ever-changing, wild landscapes the Maremma presents to the sight of its visitors. 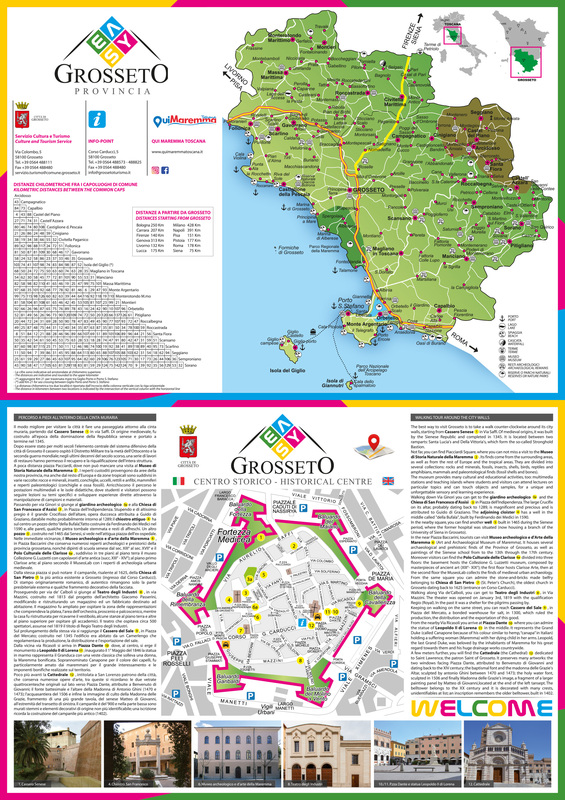 More info here : www.fiabgrosseto.it. In recent years, golf has become one of the Maremma's leading sports. The ever-changing scenery of this region, where one quickly moves from sea to cultivated hill, from remnants of the past to modern structures, is the ideal for lovers of this sport. Here golf courses offer ever-new panoramas and can be used for many months in the year. The green of the Maremma is not just that of woods, parks and pasture lands. It is also the green of the golf course. It is possible to take an actual tour of Maremma through the golf courses surrounded by forests and Mediterranean shrubland overlooking the coast. There are four Golf Clubs in Maremma, all set within beautiful landscapes in this beautiful territory.